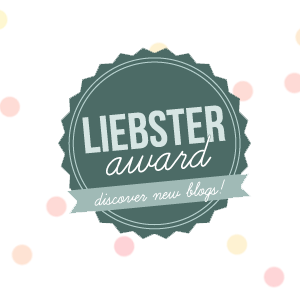 Liebster Award – The Small Things. I am thrilled to share that I have been nominated for the Liebster Award! This is one of those awards that allows small scale bloggers to recognize one another. It is a way to say “hey! I like what you’re doing! Keep it up!”. This award could not have come at a better time for me. Recently, I’ve been worried that my posts have become stagnant or boring. Perhaps this is because I’m feeling a bit underwhelmed by life at the moment. I’m being sucked into the monotony of working life and it makes for very bland writing, I’m afraid. But this nomination has reminded me that there are people out there who do enjoy my stories, just as much as I enjoy theirs. 1. Thank the person/people who nominated you by providing a link to their blog in your post. 4. Nominated 5 – 11 other bloggers. 1. My favourite Potter film and my favourite book are different. Obviously I love the series as a whole but certain books/movies will always stick out for me. When it comes to the books the third one, The Prisoner of Askaban, will always be my number one favourite. I think this is when the books started to take a darker turn, I also enjoyed the time turner aspect, but most importantly, it was the first Potter book that I read on my own. Interestingly enough the third movie was one of my least favourites. When it comes to the films I strongly believe that the last two, Deathly Hallows Part 1 and Part 2 are the best of them all. These two stayed most true to the book (in my opinion) and the special effects were spectacular. 2. Sleeping in on a Saturday morning is one of life’s most simple pleasures. Some people think it is a waste of the day, I think it is time well spent in a cozy place. It is especially wonderful if the person you love is snuggled up next to you. 3. When I was a child I collected porcelain fairies and I named each and every one of them. My collection isn’t huge but it sure is beautiful. Currently they live on a shelf at my parents house as I’m not really sure where to put them in my house right now. 4. I love dogs. But I am so allergic to them. This allergy only became apparent in the last few years. Long haired dogs are worse than short hair dogs. Mostly my skin gets itchy but it can make my throat feel tight and make my eyes red as well. So I can’t touch them without allergy meds but I can admire from afar. 5. When I was a kid, my family drove down Florida every year to a town called Okeechobee. My grandparents had a trailer in a park there. Some of my best childhood memories come from here. Like when my sister and I used to pretend we were mermaids and the shallow end of the pool was where we kept our treasure. My name was diamond and hers was Morgan. 7. When I was 12 I begged my dad to join a hockey team. Not because I liked hockey, but rather because I was jealous that my sister got praise every week for “hustling during that great game”. No one says “way to hustle” after a choir concert. So I tortured myself by playing hockey for two years but it was so worth it to hear those golden words. 8. I am pretty sure that all of my teeth are sweet teeth… By this I mean I really really really like sugar. 9. I love being the friend that people turn to for advice. I’m not even sure that my advice is actually all that great. I think I just really like the feeling of listening and helping the people I care about. 10. One of my favourite parts about traveling is eating. I know that sounds greedy but I think you can learn so much about a culture when you try their signature dish. If I could travel the world with a tour based entirely around food and wine I would be a very happy woman. 11. My middle name is Florence. It is also my mum’s middle name, my grandmothther’s first name and my great-grandmothers middle name. If I give my future daughter the middle name Florence (assuming I have a daughter) it will be the 5th generation of Florence in my family. 1. What are the main types of posts you write and what type of blogs do you enjoy reading yourself? I write a little bit of everything. Fitness, recipes, creative writing, feminism, travel, ect. Really I just write about the goings-on of my life and all the things that I have floating around in my head. I suppose that would technically classify this as a lifestyle blog. In many ways being free to write about whatever is a good thing, it means I appeal to a lot of people and there is lots of room for creativity. However, I also think it can be confusing for my readers. There is no rhyme or reason to my posting so it might be difficult to follow along if your interested in a specific type of post only. Naturally, I read a wide variety of blogs as well. Fitness, recipes, creative writing, feminism, travel, ect. 2. Do you have a particular time of day when you do your blogging and how often do you generally aim to post? Usually I blog on my lunch break at work. I guess while I’m working (depending on the task) my mind wanders and I think “Oh that would be a good post!”. So I jot it down for later. I like to post 3 to 4 times a week but it often depends on my schedule. If it’s super busy I’ll skip the blog and work through lunch. Or if I’ve had a super dull week I won’t post anything. When it come to books I am trying to be open to anything but I am particularly drawn to dystopian fiction, fantasy and mystery-thrillers. Usually these genres are pretty fast-paced but also very descriptive. I hate it when books move slowly. As for TV, I love cop dramas. No joke, I watch an absurd amount of TV about fictional cops. 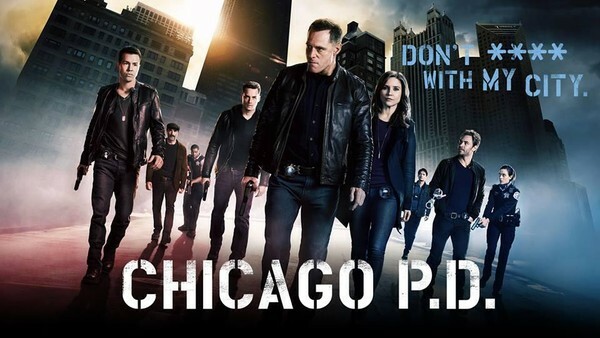 Castle, Brooklyn-Nine Nine, Chicago PD, Chicago Fire, Criminal Minds… the list goes on. The genre that I avoid at all costs is horror. I can’t stand gore and stupid teens who walk into haunted houses. I like a real puzzle of a mystery not scary. This is a tough question! I think it really depends on the time of year. In the spring and summer I am a sightseer. I want to absorb all of the history and culture and art and food. Museums, restaurants, historical sites. You name it, I want to check it out. However, in the winter I am a beach bum. When its cold at home all I want to do is soak up the sun. I wouldn’t say no to an active day trip, like hiking or snorkeling but I strongly believe that all vacations should have some relaxing down time. Check out my Travel page for more details on where I’ve been and where I want to go. I guess my biggest life goal at the moment is to be successful. Which is so vague that it isn’t really a goal. 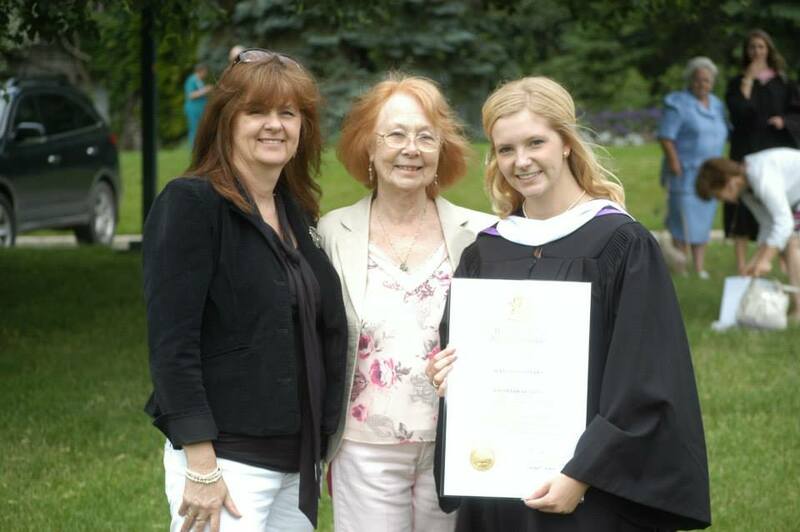 My whole life I have been working towards graduating and finding a job and now I’ve done that and I’m not quite sure what the next step looks like just yet. So I’m taking things day by day. Right now success looks like paying off my student loans and really supporting myself for the first time. But in a few years success might have an entirely different definition. Who knows! I love indie folk music and I also have a soft spot for upbeat, fun pop music. Becuase I like two different genres, I obviously have two favourite performers. The first is Mumford & Sons. Just last week I wrote a post about how much I love them as musicians and artists and my thoughts on their new album. I also love Taylor Swift. I won’t even try to explain myself. I just love her. Super exciting news! I am seeing both Mumford & Tswift in concert this year!!! Well I am a singer and I consider the voice to be one of the most impressive instruments out there because… your whole body is the instrument… Let that sink in for a moment. I can also play chords on the piano, which means I can accompany myself if I want to sing. I have a guitar, again I can play enough chords to sing along. And in elementary school I played the clarinet, very, very poorly. I’m currently in a place where I’m not too sure what my fashion identity is. I prefer to be comfortable so if I could wear loose fitted sweaters and jeans all the time I would. But that isn’t acceptable in the real world. So I’m trying to figure out what “professional” Alex looks like. I try to use pinterest as inspiration but high fashion just isn’t me, I like to keep things simple. The whole Tapas meal has become super popular in Toronto and I am definitely on board. Tapas originated from Spanish cuisine, similar to appetizers in that they are small and share-able. Now people are creating Tapas menus for all sorts of foods. Tapas is an easy way to try a little bit of everything. Therefore it is the perfect type of meal for a night out. As they say, sharing is caring. A singer! 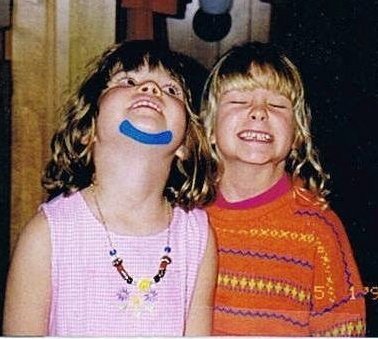 For real, my dream was always to be a pop star. It is rather typical. I think above all else I just wanted to opportunity to stand on a stage and sing and then hear an entire audience of people singing along with me. I can only imagine how amazing that feels. Or hearing your song on the radio for the first time! The thought gives me chills. Sadly, I think my days of making it as a pop star are long past. Oh well, thats what Karaoke night is for! I read the first book, I found it to be super confusing and difficult to follow. There are a million and one characters and quite a lot of detail. I have the first 4 books so I plan to revisit them one day when I have the time but other than that I haven’t got much of an opinion on the topic..
**Note: The point of these nominations is to help other small blogs like my own grow by sharing audiences. Two of the blogs noted above have pretty big followings already but I decided to put them on my nomination list because I just love what they are doing & I want them to know about it! 3. What is your proudest accomplishment in life so far? 5. What advice would you give to a large group of people? 6. What was the last movie you saw? What did you think? 7. If you had 1 week to travel anywhere in the world for free, where would you go? 8. Would you rather win the lottery or work at the perfect job? And why? 9. What song would you sing at Karaoke? Why? 10. What is the best gift you have ever received? Explain. 11. Which celebrity would play you in the movie about your life? That’s a wrap on my Liebster Award! I hope all my nominees enjoy answering my questions! Can’t wait to read! Thank you so much, Mille! It quite literally wouldn’t have been possible without you. I’m glad you liked my interesting facts, by number 8 I was running out of things to say. These types of posts are so fun to write! You must write about the food you ate in Spain! It is one of the many places I hope to visit one day. Lucas’s brother-in-law has family in Barcelona so hopefully it will be a dream come true soon enough! Oh that must have been excellent! I think going from bar to bar for tapas would be a fantastic night on the town! It is officially on my to-do list. Best of luck with that third book, Millie. I’m sure it will come together in no time. & yes, hopefully some day! Sleeping in is an art. And I agree about travelling and food. Yum! I am so glad you agree! I can’t wait to read your post! 1. Random daily shenanigans. And running. and food. and…coffee. 2. Cliche but so very true when I say my mama. She has single handed raised my autistic sister and I, battled cancer, build her own business, and done it all with a smile on her face. 3. Discovering what makes me happy, and how to get it. 4. Accepting the fact that I don’t have a bachelors degree. Meh. 8. Lotto, simply because I would travel the world. 9. Anything comical enough to take the attention away from my horrific voice. These are all such great answers! The answer to question number two has to be my favourite though. It is not cliche at all! Your mum sounds like an amazing woman and definitely someone to look up to as a hero. Thanks for reading Brittany!